Often times when fine jewelry is shown on the runway during a fashion show it can get lost in the bright lights and fast pace of the presentation. 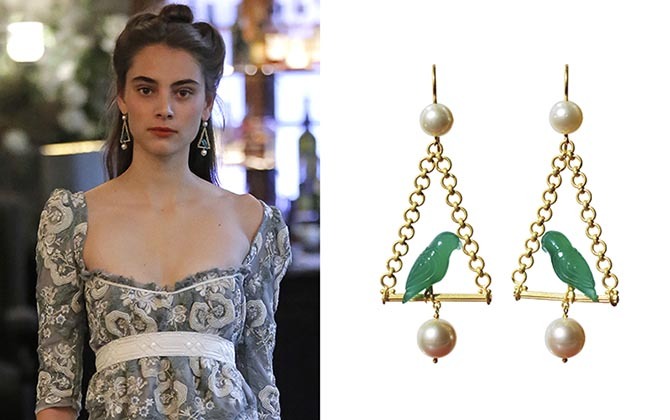 Not so with Marie Hélène de Taillac’s earrings at the romantic Brock Spring ’19 collection during New York Fashion Week. 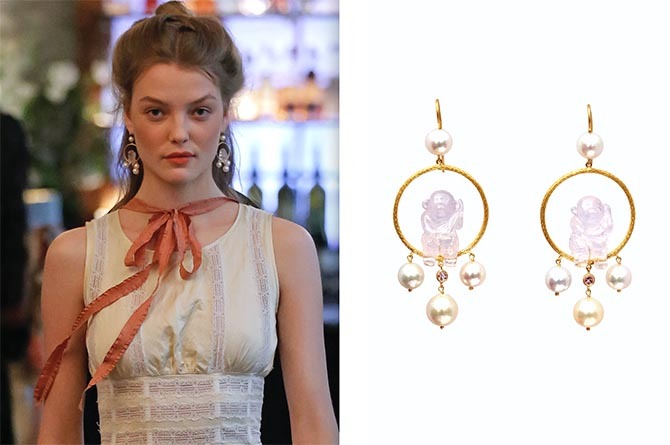 The intimate setting at Soho’s Le Coucou restaurant made it easier to get a glimpse of the jewels. 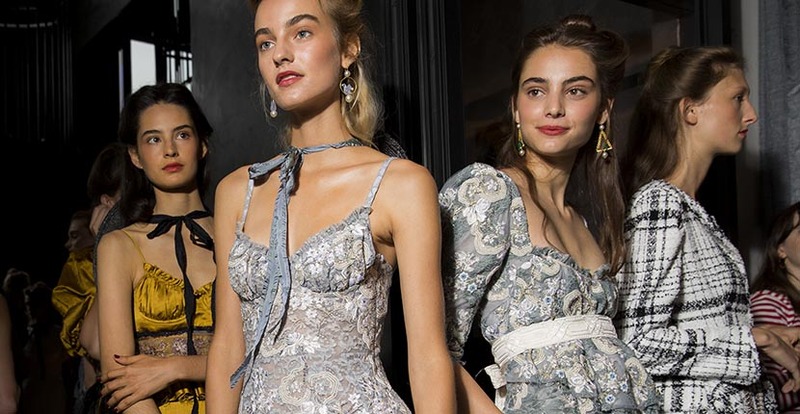 The way the jewels matched the mood of the show, the model’s hair being pulled off their faces and the substantial size of the designs were all factors in making the pieces shine. None of it would have worked, however, if the jewels were not wonderful in every way. They were divine. Naturally, I wanted to know more about the adorable animal earrings in the show. I reached out to the designer, Marie Hélène, who is currently working on new pieces in Jaipur where she has a studio. Our interview is below. First, tell me about the collaboration with the Brock fashion shows. This is the second year in a row you have done it, right? What makes it work so well. Indeed, this is our second collaboration. Last time, I created pieces for Brock’s fashion show. It’s slightly different this time. Laura was very enthusiastic about my bestiary jewels and I suggested that the models would wear these creations on the catwalk. They all match so perfectly. Brock’s collection is very fresh and feminine. We have this in common. The animal earrings really looked spectacular on the models. Tell me about the collection of animal earrings. What inspired it? Brock’s inspiration partly comes from history, and especially French history. And so is mine. My bestiary was somewhat inspired by the incredibly creative jewels of the Renaissance. Besides, I am also inspired by what I can see in my daily life in India. There, parrots, monkeys and all the others are part of the scene. What is the process from start to finish of carving the gems into animals? It is a very close work with the stone carver. Either I simply tell him which animal I would like to carve or I sometimes give him a picture of it. I did so for the animals we can find in Rajasthan. The craftsman has a very good knowledge and a precise idea of what it should look like. As my office is next to the workshop, it goes like a real collaboration. How many animals are in the collection? There are seven in the collection so far. And there a few more to come. Tell me about the animals in the video you created. They are all animals that we can see in India. I found the idea of the morphing video totally appropriate. It is an original and magical way to present the collection, don’t you think?